In this experience, students use a dictionary to find meaning, syllabication, pronunciation, word origin, and part of speech of familiar and unfamiliar words. Then, they utilize their new vocabulary in writing. Finally, they research and write a profile of Noah Webster. Did you ever wonder how the first dictionary was created? How did all those words get gathered up, divided into syllables, and defined, including their parts of speech and pronunciation? Who traced their origins back to the earliest written languages? Today we take the dictionary for granted. We can look up words online with the click of a few keys, or just by saying it out loud. But what’s behind the detailed information contained in the dictionary? In this experience, you will review your dictionary usage skills and learn about the first American English dictionary. Look up the word renegade. 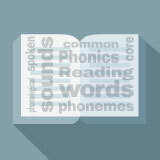 Find its part of speech, word origin, and definition. Post a fact about the word. Examples might relate to the word’s origins in Latin (renegatus, or renounced) via Spanish (renegado); its definition as a person who behaves rebelliously (noun) or treacherous (adjective); or synonyms such as traitor, traitorous, defector, turncoat, disloyal.